Now that the holidays are behind us, everyone on campus (and beyond) is ready to get back in shape! However, sometimes, even those with the best intentions have a hard time getting to the gym for an hour-long workout. 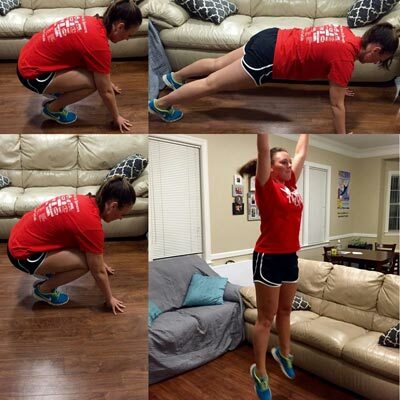 The good news is that you do not need the gym or equipment to get a good workout—you can do it in the comfort of your own dorm! Even better, you can create a comfortable set up, wear whatever you want, and you know the showers are just a short walk down the hall when you finish that last rep.
Time: Do each exercise for 45 seconds, transitioning to the next exercise as quickly as possible. Reps: Do 12–20 reps of each exercise (6–10 reps on each side, if a sided exercise). Tip: You can repeat each circuit multiple times for an intense 20-minute workout. Bicycles crunches are a great exercise in general, because it targets your entire core. It’s great for a dorm room as well because all you need is a floor to lie down on and you’re good to go! Get a mat or even your blanket underneath you for comfort, and get in position to really feel that burn. The great part about working out in your dorm room is that you have so much privacy to mix up your routine as well. The walkout pushup is a bodyweight exercise that strengthens the core while also improving muscular strength and endurance of the chest, shoulders, and arms. 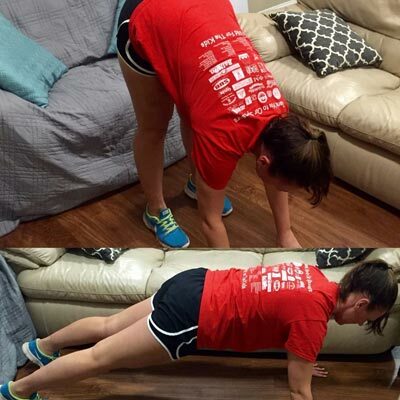 When you get good at these, you can increase the difficulty by including a jump before walking out to the pushup! Burpees are perfect for giving you the cardio and strength exercise you need without weights or clunky machines. Hence, they’re perfect for a dorm room! Even though burpees are more challenging, they really bring your heart rate up and can burn some serious calories in a short time. Burpees have many variations too, so you can start off easier and progressively grow into the more difficult versions. For example, beginners can perform the burpees without the pushup. Then, as the burpees become easier, you build up to a regular burpee with the pushup and then add different variations, like a plank jack or lateral jump! 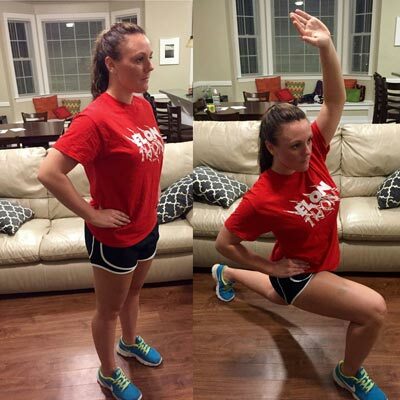 Lunges, like squats, are one of the most effective lower body exercises you can do. The reverse lunge is going to increase strength and endurance in the glutes, hamstrings, and quads. The reaching movement helps improve mobility from the hips to shoulders while also activating the core. Once you master this, add light weight to increase the difficulty! Karen Jashinsky is the founder of youth wellness company O2 MAX Fitness.